joybear: Best Creations and Epiphany Crafts! What a fun combination! I love the shaped paper and the fun touch of glitter from Best Creation Inc! 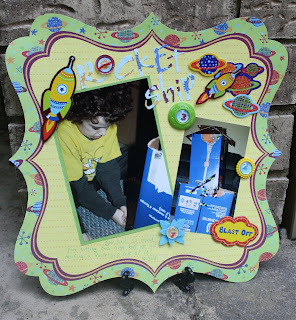 I stamped 3-2-1 on their Robot paper and placed it in Epiphany Crafts Shape Studio. I placed the epoxy bubbles in the vintage settings and on a Whimsy flower to make super cute embellishments. For the title I used a round 25 button in the Button Studio for the O. Thanks for stopping by. I like the way that you added the Epiphany + vintage settings to your project. So cute!